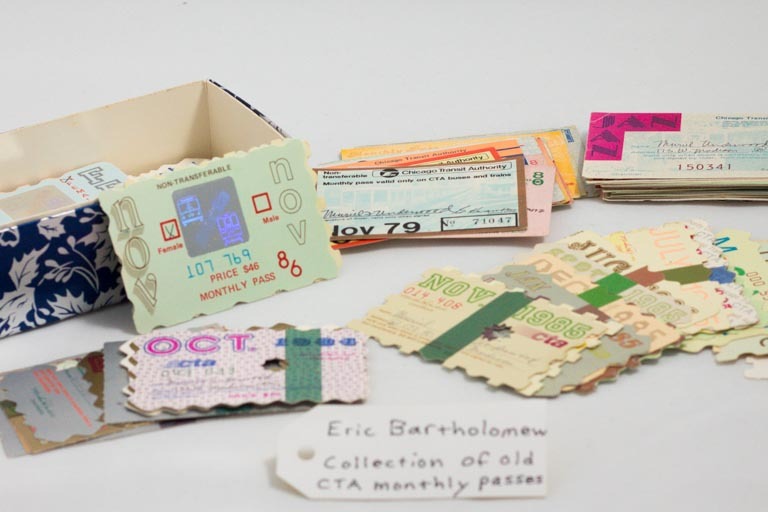 Collection of old CTA monthly passes | That Belongs in a Museum! I did not bring a single item here tonight, I brought 148, so we’d better get started. Actually, these all go together. This is a collection of CTA monthly passes from about 1979-1992. […]. The CTA monthly passes are unique to Chicago, and maybe it’s not the same as European nations when they lost the currency to the Euro, but I think we lost something when we lost the monthly pass.